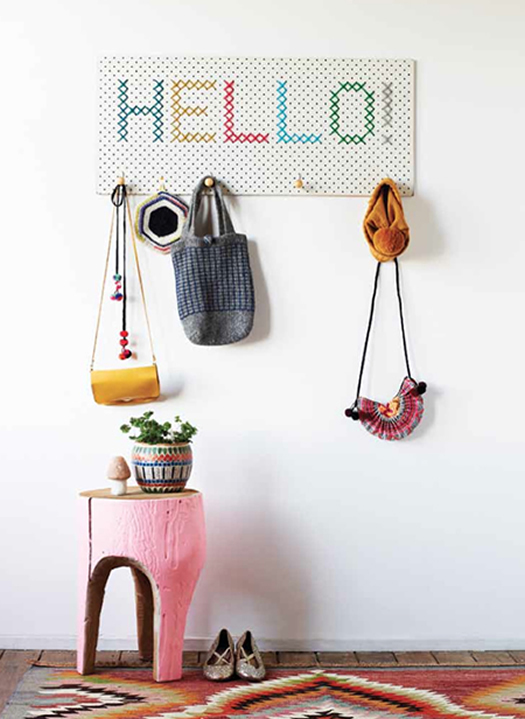 Spotted this cross stitch peg board coat rack in the Beci Orpin feature in the current issue of Mollie Makes. (Beci is a well-known Australian artist). I love this idea. It reminds me of Aesthetic Outburst’s embroidered screen door.